Hormones help your child develop, but if levels are too high or too low, it can be harmful. We use therapeutic and medical care to help balance your child's hormones so they can focus on being a kid. Endocrinology is the study of the endocrine system, which is a group of glands. This system makes hormones and controls basic body functions, such as metabolism, growth and sexual development. Your child's doctor may refer him to a specialist if he shows signs of having a condition that may affect his endocrine system. Learn more about diabetes and related conditions. Our team provides clinical, diagnostic and lab services for the evaluation and treatment of diabetes and other endocrine disorders. 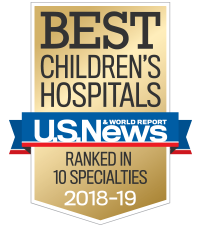 In conjunction with Emory University School of Medicine, our pediatric endocrinologists are committed to excellence and innovation in research. We have been involved extensively with local, national and international collaborative research endeavors. These efforts span the entire spectrum from observation to early disease recognition and prevention to treatment. Children's sees patients at a variety of locations, but if you don’t live near one of our clinics, we want to make sure you’re still getting care from a Children's specialist. Through our telemedicine program, we provide care for endocrinology conditions including adrenal disorders and growth disorders.